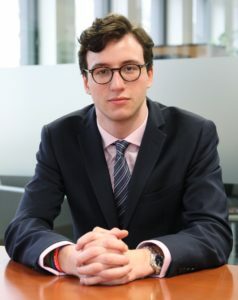 Alexander joined New Century in December 2017 after working as an Adviser to a senior Conservative MP. During his time in Parliament, Alexander managed all their Parliamentary business, campaigns and office relations. He also served on the Prime Minister’s Operations Team during the General Election in 2017. Alexander is particularly interested in geopolitics, international relations and nationhood. Whilst in Parliament, he supported the work of the Foreign Affairs Committee and the British-Irish Parliamentary Assembly. He also managed and coordinated 18 All Party Parliamentary Groups dedicated to strengthening political, social and economic ties between the United Kingdom and Canada, Australia, New Zealand, Switzerland, British Overseas Territories, and Commonwealth nations. Furthermore, Alexander was personally responsible for managing and coordinating several major international campaigns in Parliament, including the campaign for securing compensation for victims of international terrorism and securing the Right of Abode for former servicemen of the British Armed Forces. Alexander also worked on campaigning to ban the trade of ivory. Alexander graduated from Oxford University with a Master’s Degree in Chemistry and remains interested in energy and environmental policy. We develop strategies to protect, promote and enhance the reputations of our clients. Whether you are involved in a crisis, trying to navigate a complex reputational challenge or want to successfully promote and position yourself and your interests in the most relevant and critical debates, we can assist. New Century is an international corporate, financial and political communications consultancy that works with a broad range of clients including national governments, global corporations, private individuals and families. We advise clients on achieving their strategic or business objectives and provide high-level counsel to devise and implement campaigns that promote, defend and enhance our clients’ reputation.